Using Brightspace Video Note - Georgia Department of Education. All rights reserved. 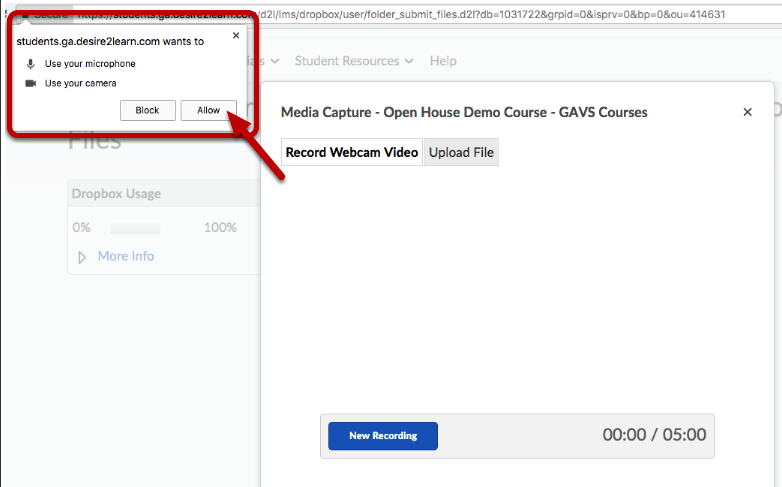 Within Brightspace, a video can be recorded at both the discussion and dropbox tool. 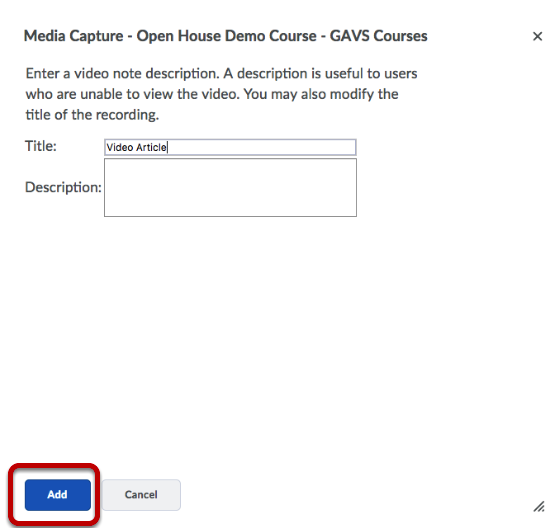 Following these directions, will help ensure that you have followed the accurate steps for your video to be loaded correctly. Please be aware of what you can see within your camera. Try not to have sunlight directly behind you when recording. Cameras can have a hard time focusing as well as making it hard for the teacher to see you. Be sure that your browsers are current and up to date. Not sure of your browser version, you can select the browser title. You will see the option of About Firefox select this. The browser will indicate if it is up to date or if it needs to be updated. The image indicates where the information is. 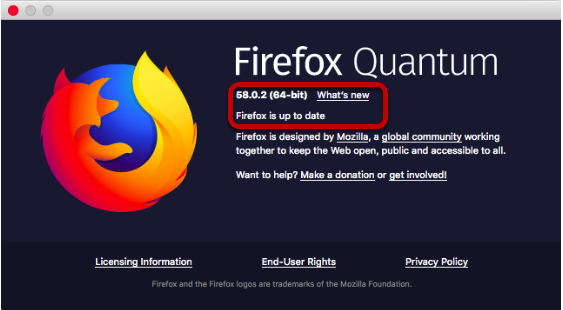 If the browser needs to be updated, select to update it. The browser will update and restart with the newest version. Be sure that your browsers are current and up to date. Not sure of your browser version, you can select the browser title. You will see the option of About Chrome select this. 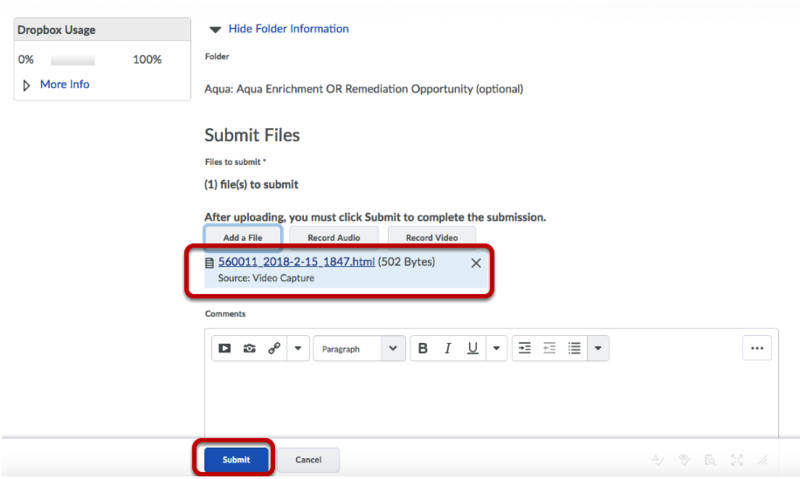 Select the dropbox that you are wanting to submit an assignment. Select to Record Video. Depending on your settings, in the upper left of the web address you may be prompted to allow your microphone and camera. To record a video you MUST allow both of these. If the prompt does not appear in the left upper left, you can always check to the right of the web address by selecting the camera icon. This will let you know that they are being allowed and what your defaults are. Once you have allowed both the microphone and camera, you will see yourself. 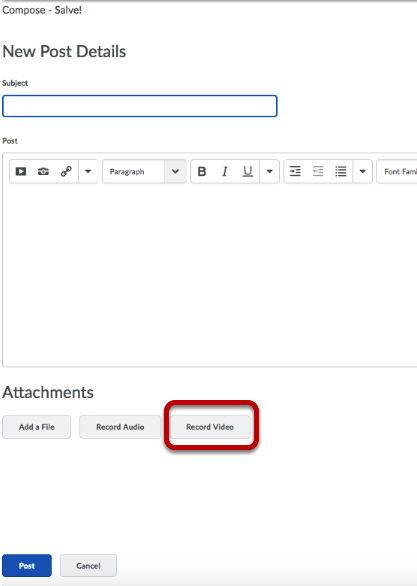 You can begin to record by selecting New Recording. Note that you have a time allowance of 5 minutes. Once you are done recording, select to Stop Recording. You can replay your recording at the bottom of the window. 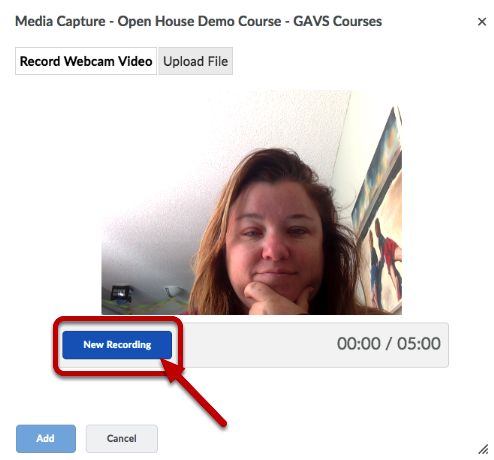 If you are satisfied with the recording, select to add the video. Please wait until you are prompted to enter a title. Rushing this could result in you submitting a blank video. You can title the video as necessary for the assignment. 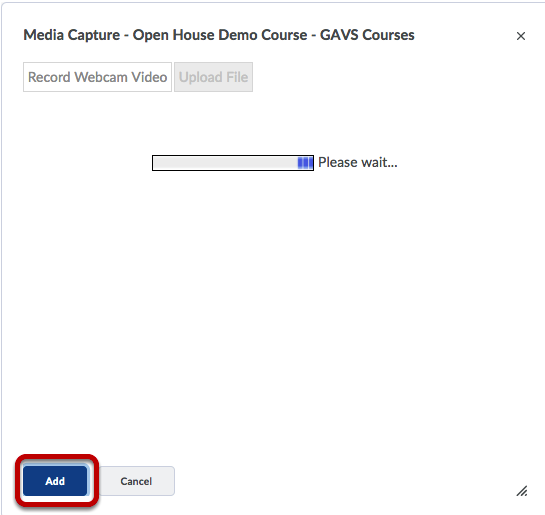 Then select add to add it to the dropbox. Once you have added it, you will see the video located here. 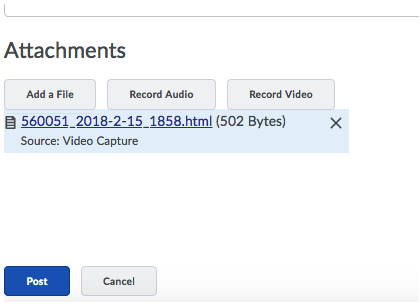 To double check that your video has properly processed notice file bytes size and click the link to see if you see the video. You may then select to Submit the video. 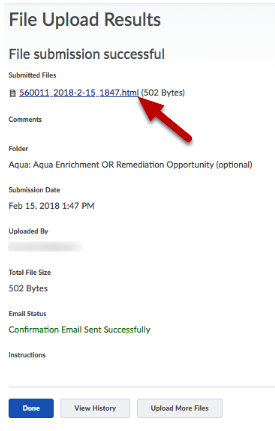 Upon submission, you will receive the File Upload Results page as well as an email. You can see at the top the video that was submitted. Select Done to leave the page. After you have completed the video, you will see that the video is located below the attachments. Before you post click the file link to see if you can see the video. If you don't see the video your instructor won't see the video. Be sure the following two things are taken care of before posting or you will not be allowed to post. Field cannot be empty refers to the body of the discussion. If you receive this message after posting to the discussion or submitting to the dropbox the platform needs to formally transform the file. Please check back to ensure your video has transformed. If you don't see the video your instructor won't see the video either.